The arguments put forward by Nicoloro and Fontaine in favor the proposed natural gas pipeline only go to support the opponents’ position. 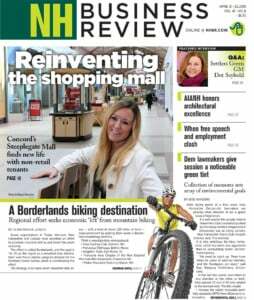 (“Opposition to proposed gas pipeline is misguided,” by Mike Nicoloro and Joan Fontaine, April 17-30 NH Business Review). Unfortunately, as claimed, major accidents do not always occur in urban areas involving older pipelines. In 2014 alone, there were at least four major accidents in relatively rural areas of Kentucky, North Dakota, Nebraska and Minnesota. 2. While acknowledging that “renewable energy is America’s future,” their position is that we should continue to postpone the future in favor of continuing to pour money and environmental resources into the same old reliance on fossil fuels. Money that is spent on exploration, production and transmission of natural gas is money that is not being spent on solar, wind, hydrogen cells and other forms of renewable energy. Not to mention that when the writers talk about obtaining gas from Pennsylvania and New York they are talking about fracking, with all of its environmental local damage. Finally, we are told that the pipeline won’t be “a permanent solution” or “even a long-range solution.” So, we might ask, what’s the point? Profits for gas companies? What is obviously meant to be a statement supporting the pipeline proposal seems to turn out to be a good example of damning by faint praise, does it not?